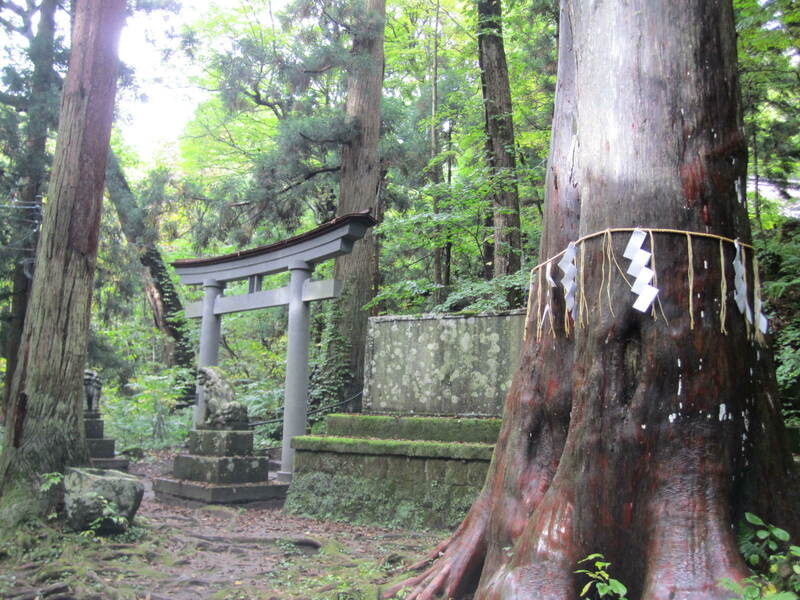 According to Mr. Takabatake of JTC,Izanagai received a stone tablet at Hiraoka Jinja. 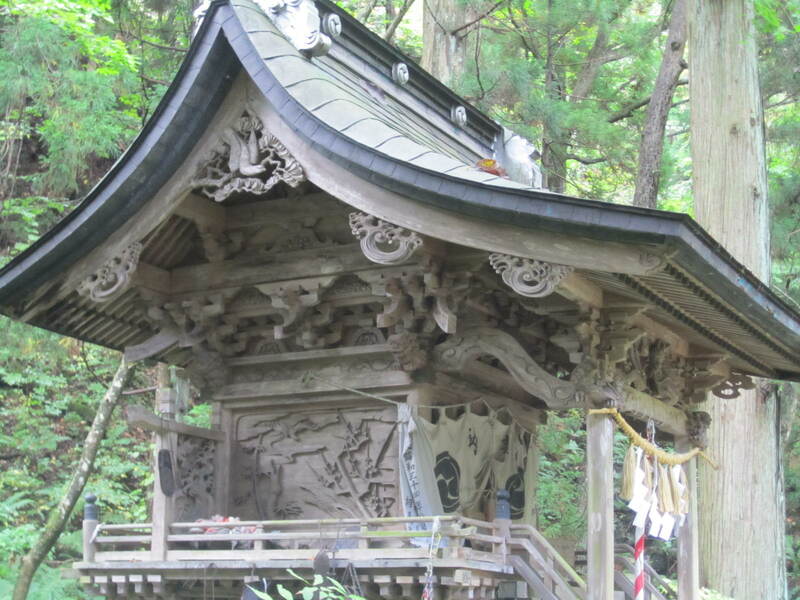 This ‘most important shrine in Kawachi Province’ is in the hills of Higashi Osaka, not far from Kinki University. Astronomy students took me by train. As soon as we got off, we heard the taiko. Aki matsuri was in progress! 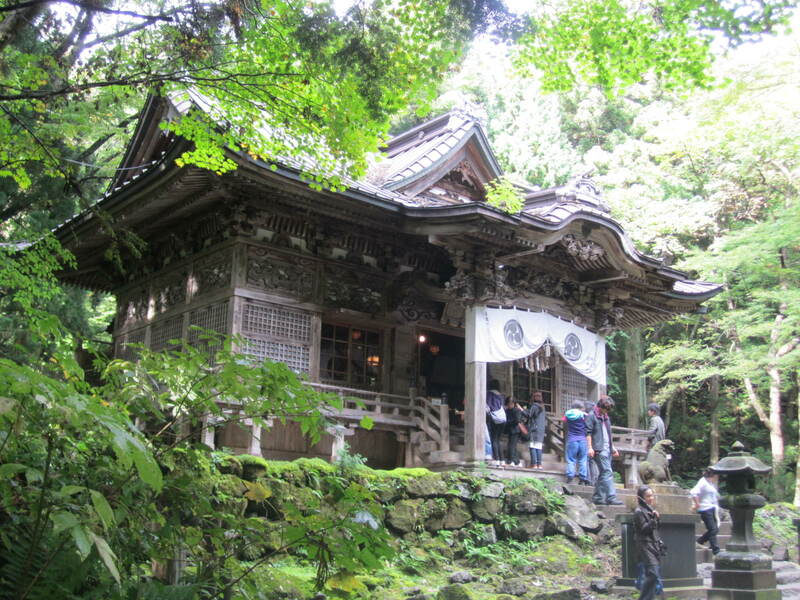 This shrine is dedicated to Amenokoyane and Fujiwara ancestors. 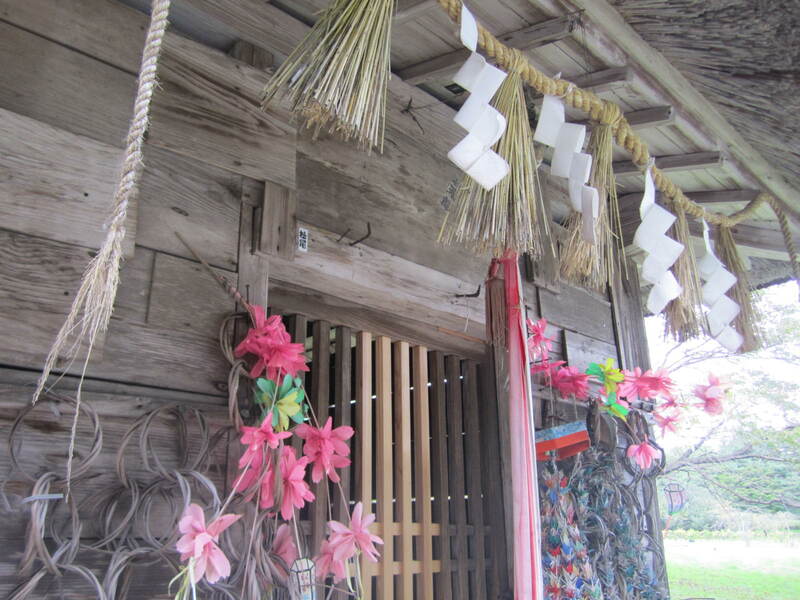 This entry was posted in Hotsuma, Jinja and tagged Hotsuma, Izanagi, matsuri on 2013/05/23 by Okunomichi. Tagajo is a seat of government from olden days. 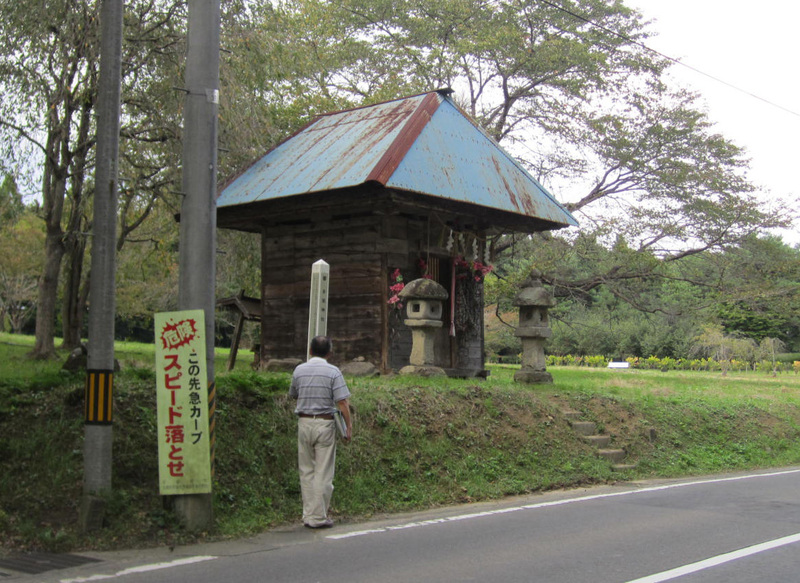 There are remains of buildings, and even today there are two shrines called Taga Jinja. I will show you the remains and the shrines. 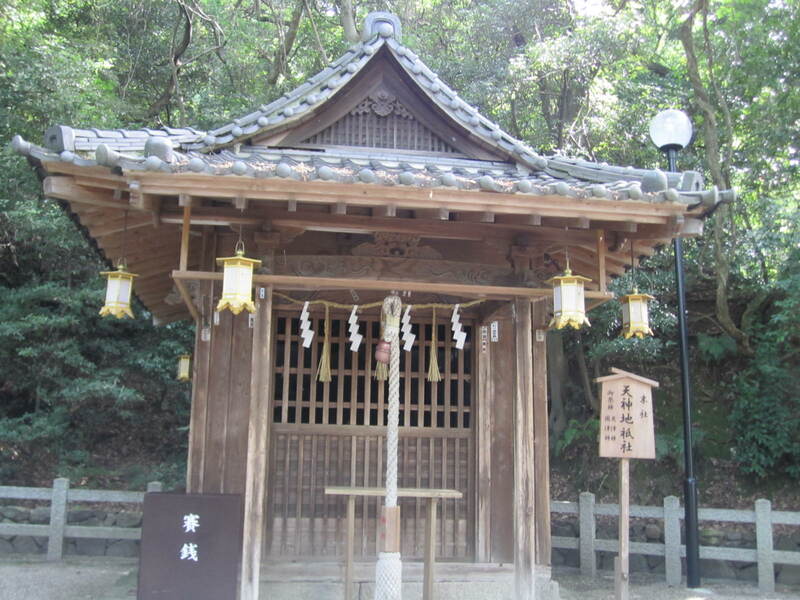 I believe that the second shrine is the older, for it honors Izanagi and Izanami. 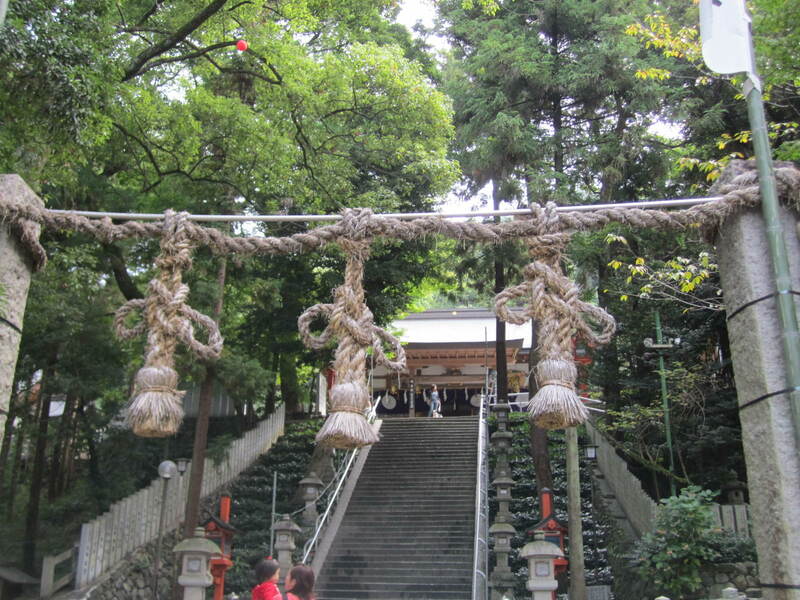 We will post a third Taga Jinja, and this shrine in another part of Tagajo City is may be the most important of the many Taga Jinja. 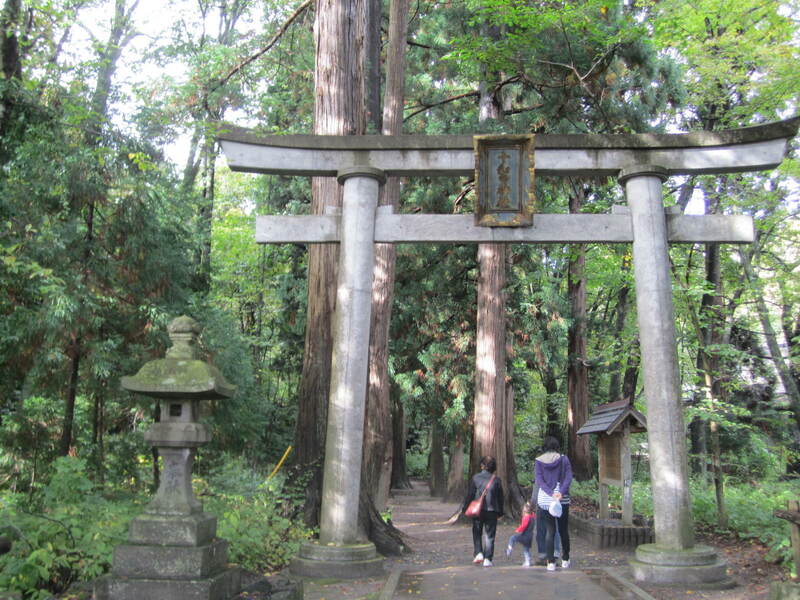 It was the origin of the Taga Jinja (now Taga Taisha) in Shiga Ken (our fourth Tagajo Jinja). 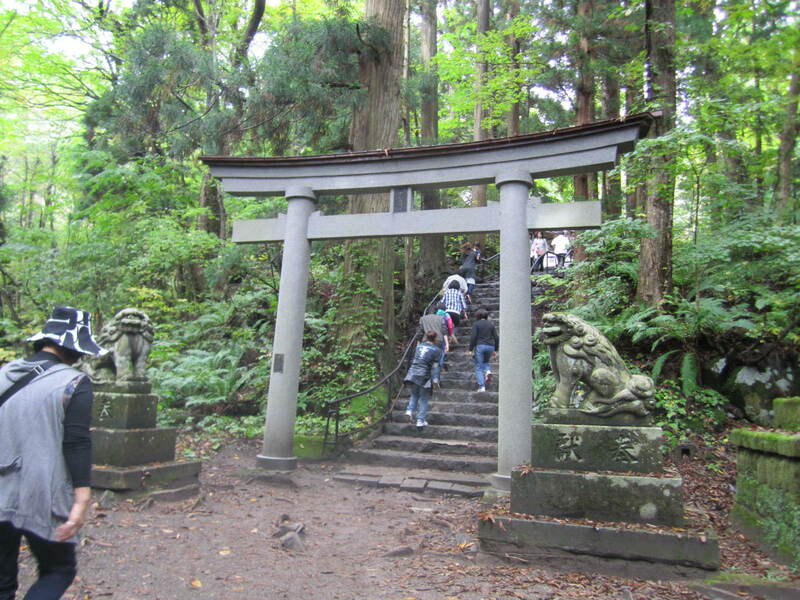 This entry was posted in Hitakami, Hotsuma, Jinja and tagged Taga Jinja, Tagajo on 2013/05/23 by Okunomichi. 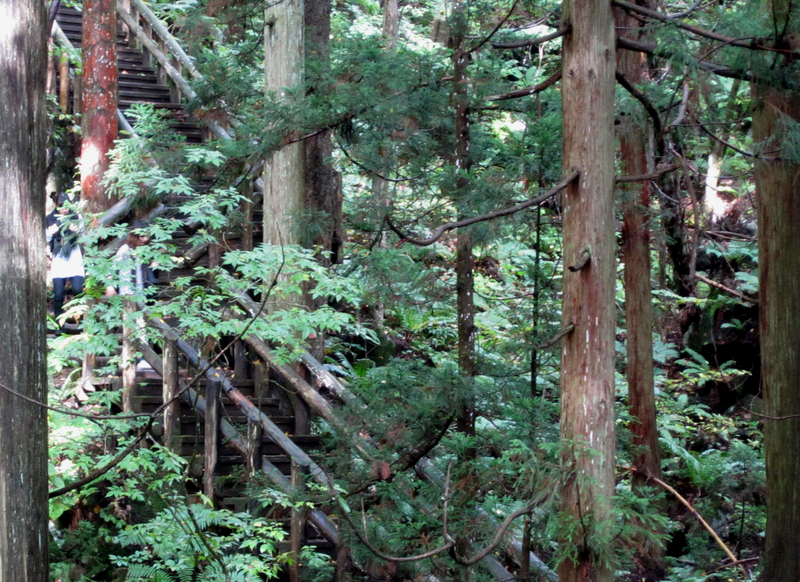 Towada Jinja sits on a peninsula of Towada Ko (Lake) in Aomori. 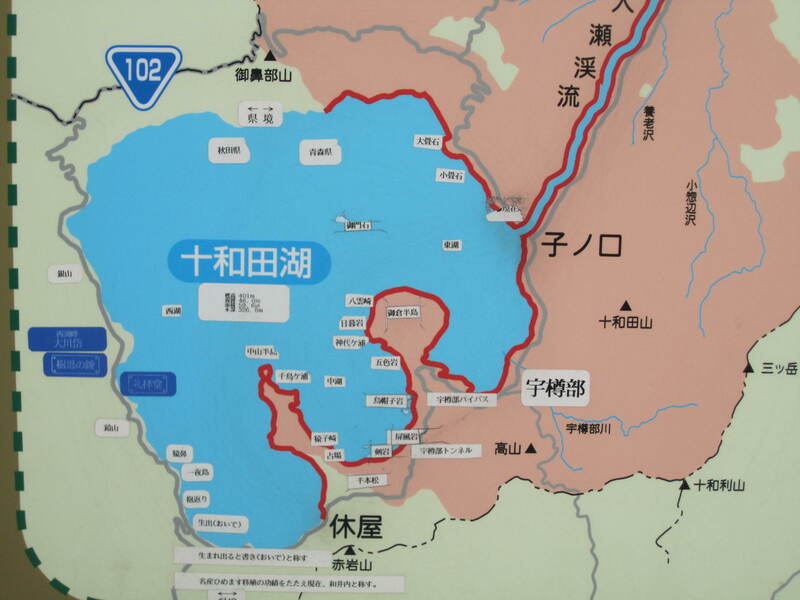 Towada Ko is the third deepest lake in Japan, a crater lake. 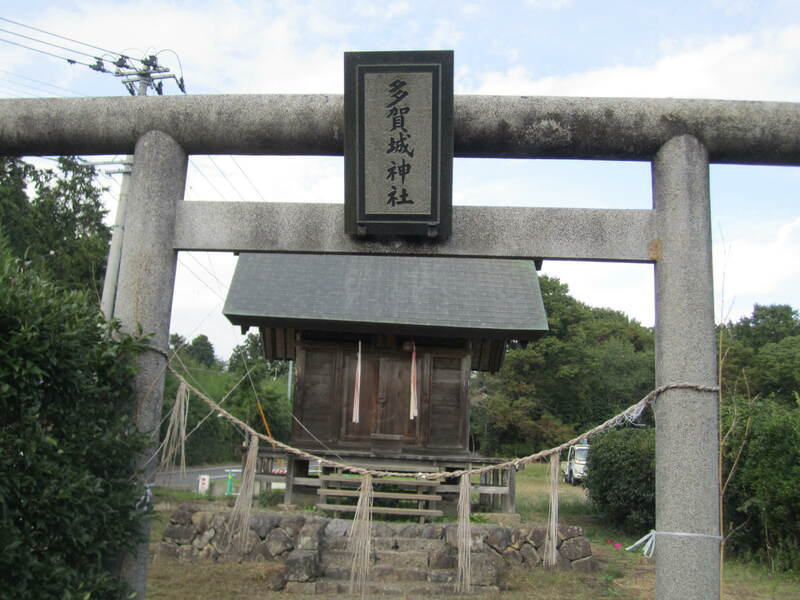 The jinja has an entrance from the village, and it honors Yamato Takeru. The site is green and other-worldly. There is, deeper in and up a long flight of steps, a Dragon Shrine. 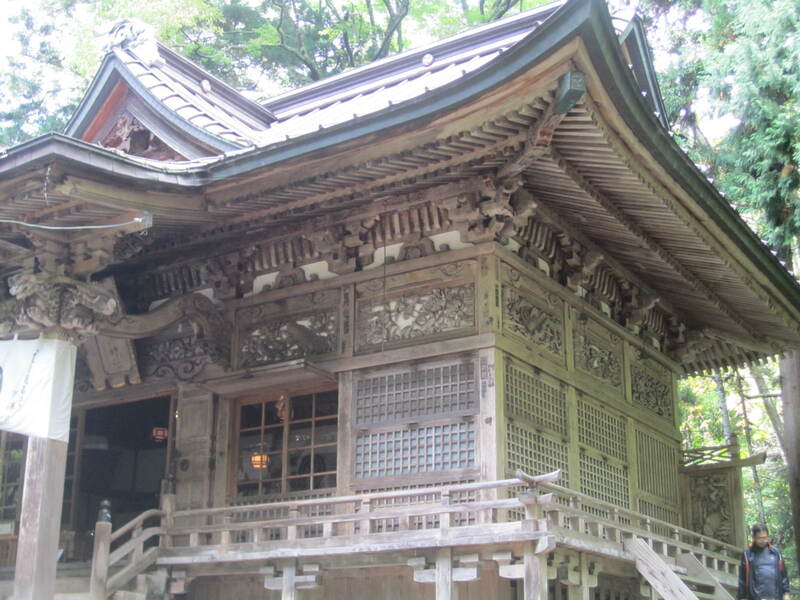 The main shrine to Yamato Takeru is beautifully carved, as are the smaller hokora. 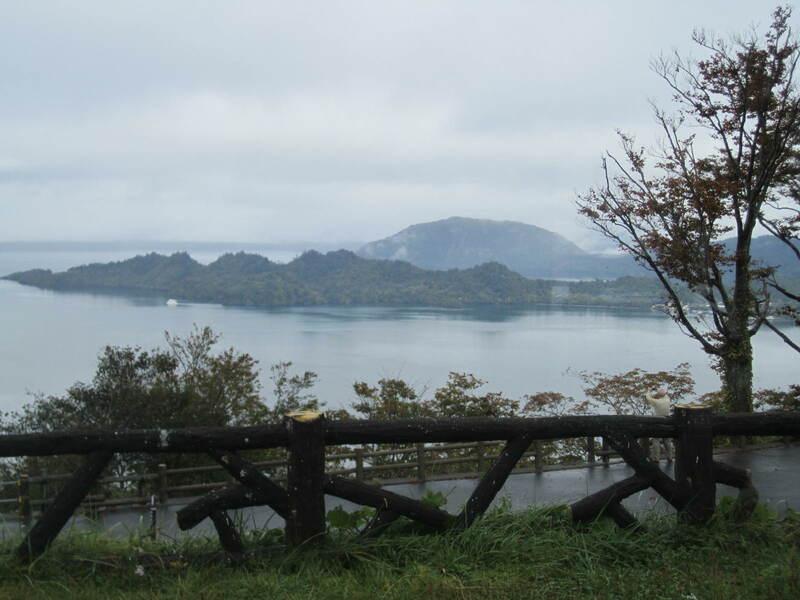 Lake Towada is said to have a pyramid mountain. Can you see it on the map above the peninsula on the right? We tried to see it from the eastern shore, but could not. 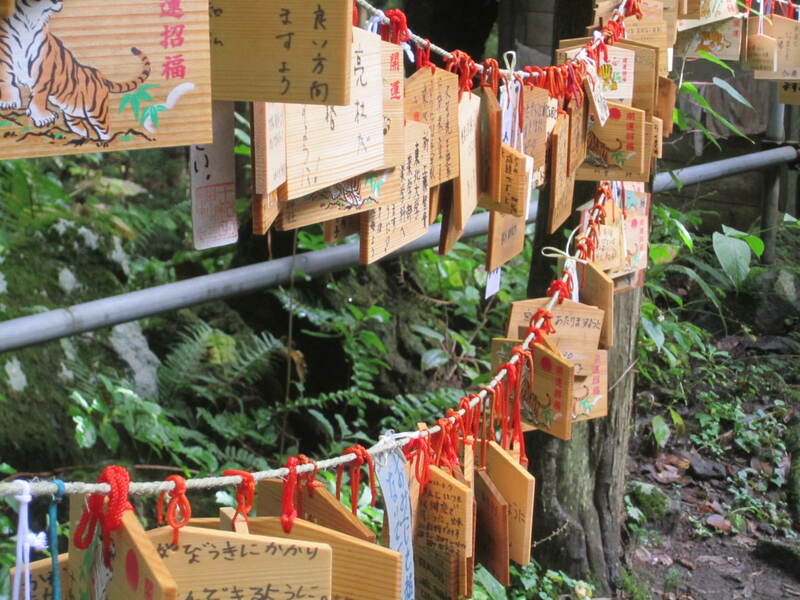 This entry was posted in Hitakami, Jinja and tagged Aomori, Towada Jinja, Yamato Takeru on 2013/05/23 by Okunomichi. 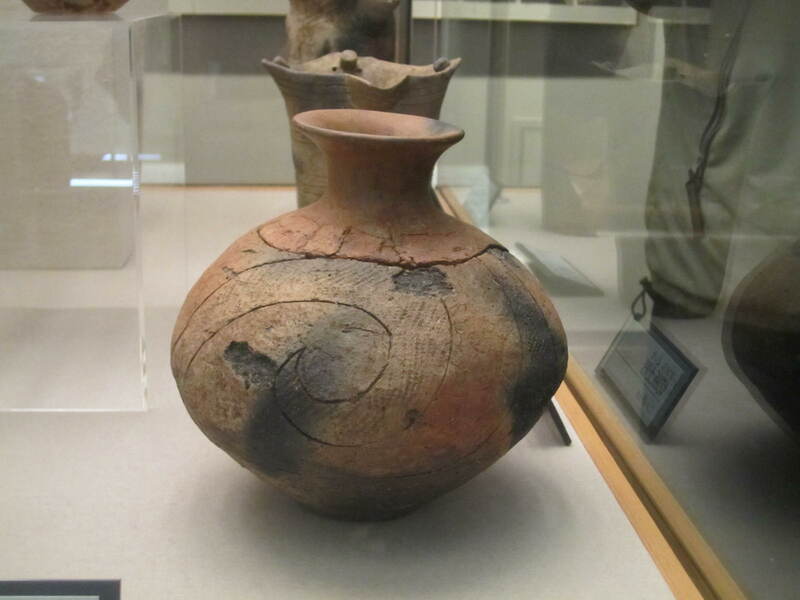 The Jomon were the first people to make pottery. 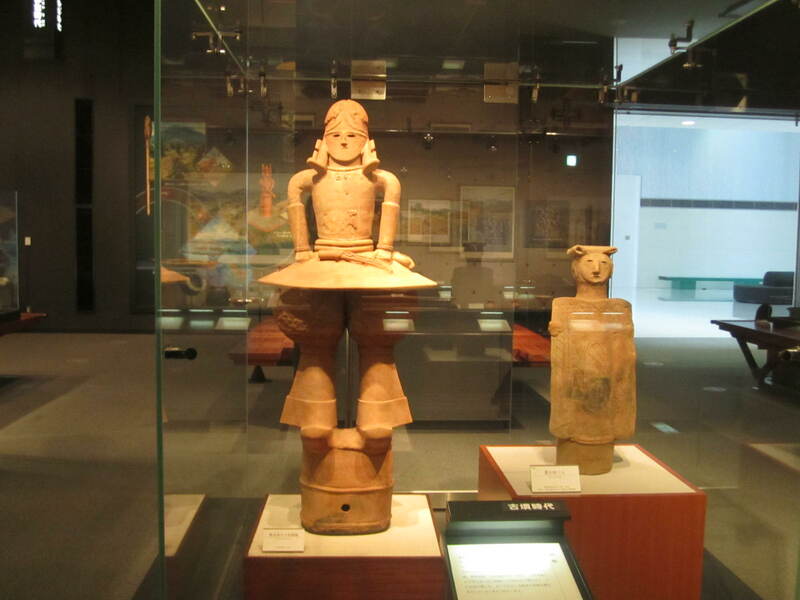 Here are some of the artifacts found in Tohoku, displayed in the museums at Oyu and at Tagajo. First at the Oyu museum, there are remarkable Jomon specimens. 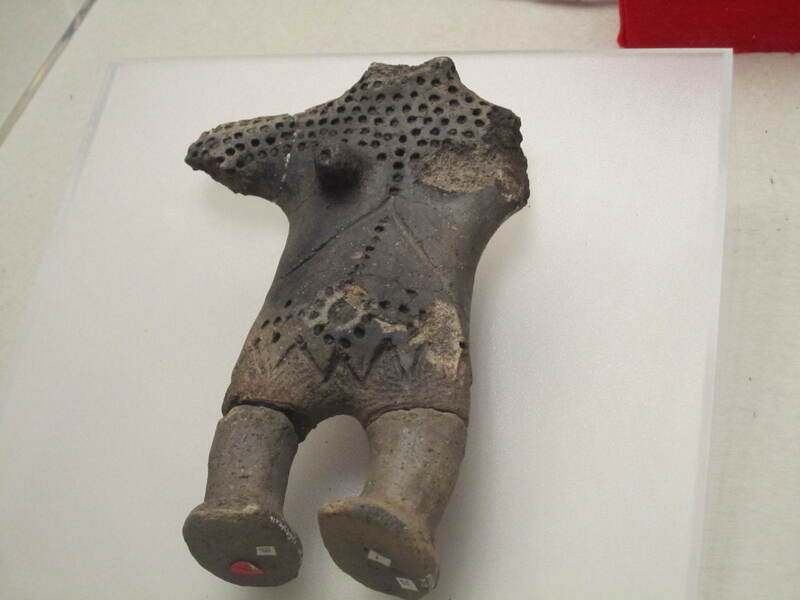 In addition to Jomon pottery, we see a human figure marked with – are they acupuncture points? 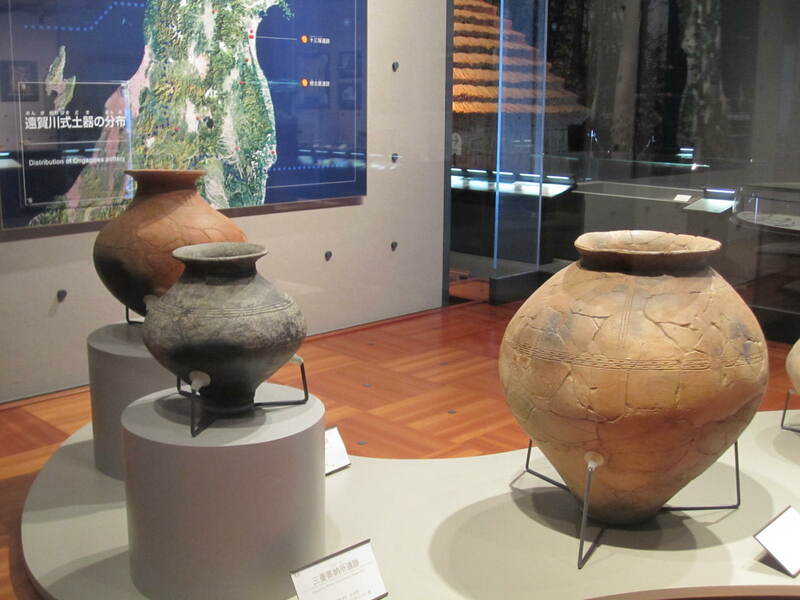 These pottery artifacts (below) are from the Tohoku History Museum at Tagajo City, near Sendai. The mask-like piece is distinctive, although it does not resemble modern Japanese faces. 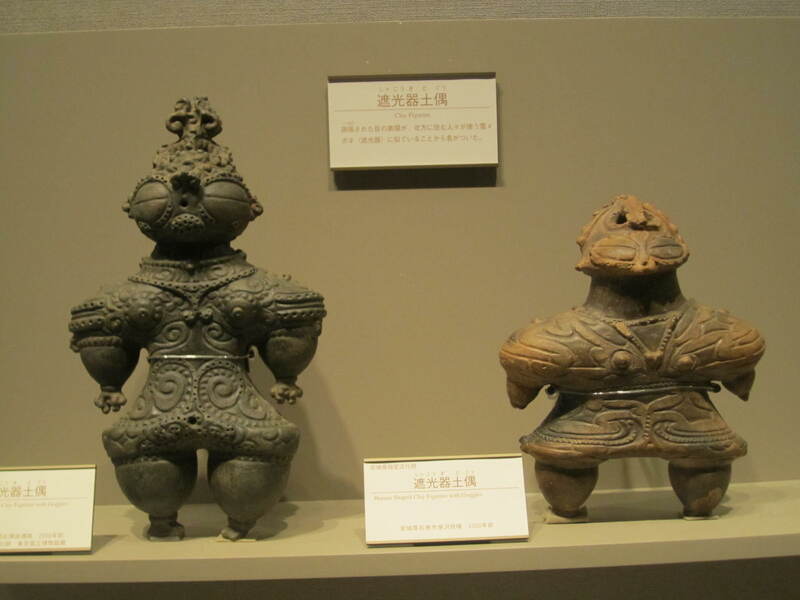 The two figurines in ‘spacesuits’ are called Arahabaki. It is a mystery what they represent and why they are so named. Look for my additional posts on Arahabaki. Jomon made a large variety of pots. 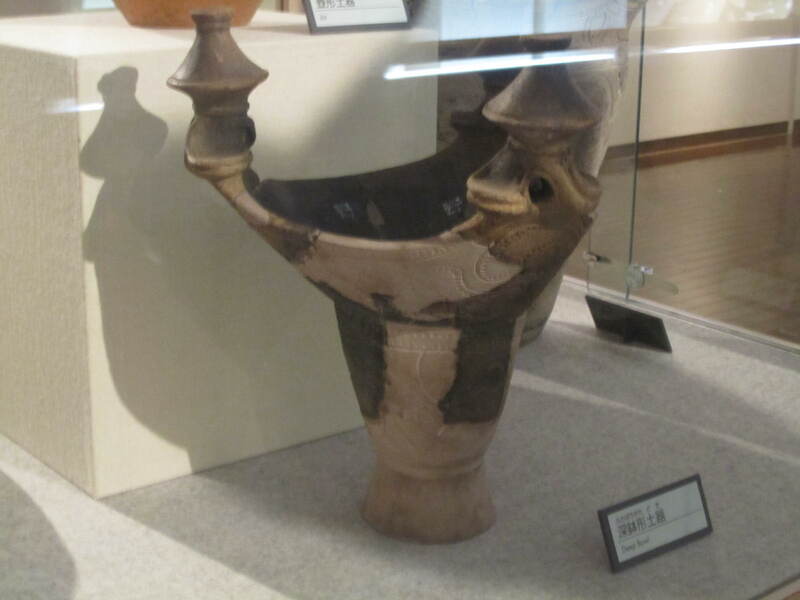 The museum displayed a number of haniwa terracotta (unglazed) pieces from the kofun period which followed the Jomon. 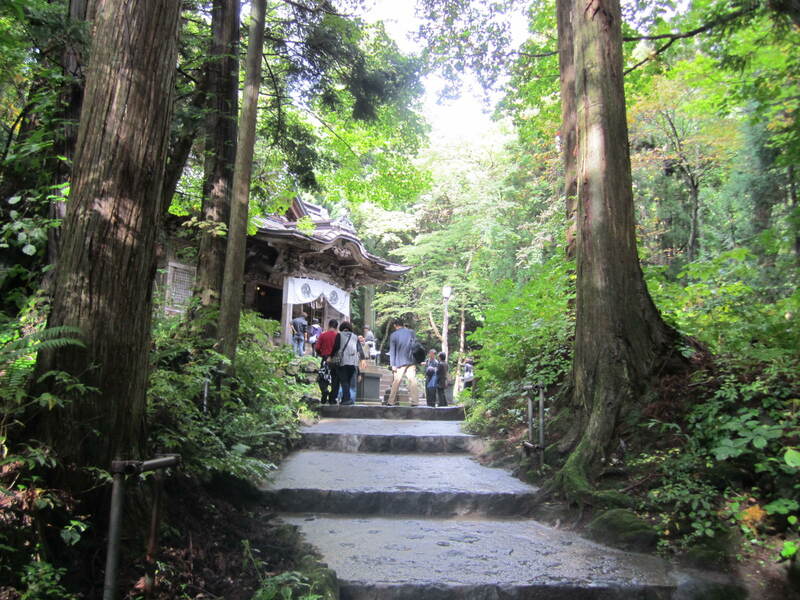 This entry was posted in Jomon and tagged Jomon, Tagajo on 2013/05/21 by Okunomichi. Woshite is the moji syllabary script of the Hotsuma Tsutae, Mikasafumi, and Futomani documents. 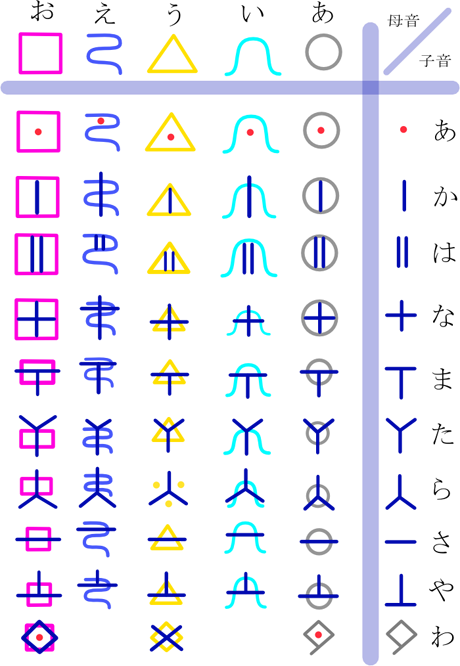 This chart shows in colors how the matrix of syllables is created systematically. The five vowel sounds are A I U E O, listed in the topmost row. The far right column shows the symbols to be added to the vowel sounds to create the syllables in the main part of the table. The dot symbol is the basic vowel syllable. The symbol for the K sound is the single vertical, the H sound is the double vertical, and so on. The bottom row for the W syllables is irregular. This entry was posted in Hotsuma and tagged Hotsuma, moji, Woshite on 2013/05/19 by Okunomichi. Hotsuma Tsutae is an ancient Japanese document written in a script called Woshide. Recently (since 1966) discovered and translated, it reports historical episodes of brave warriors, beautiful princesses, and wise rulers. Above all, it teaches us the folly of using violence to accomplish aims, and rather to offer compassion and forgiveness. The word “tsutae” in Hotsuma Tsutae means a document that imparts or bequeaths knowledge and wisdom for later generations. Such was the aim of the Jimmu Tenno who asked his Minister of the Right, Kushimikatama, to create it. The task was brilliantly executed in 28 chapters written in the poetic rhythm of 5 and 7 syllables, the rhythm of Heaven and Earth. Seven generations later, in the first century of the Common Era, 12 more chapters were added by one Ohotataneko for Keiko Tenno. Thus the 40-chapter document was completed. 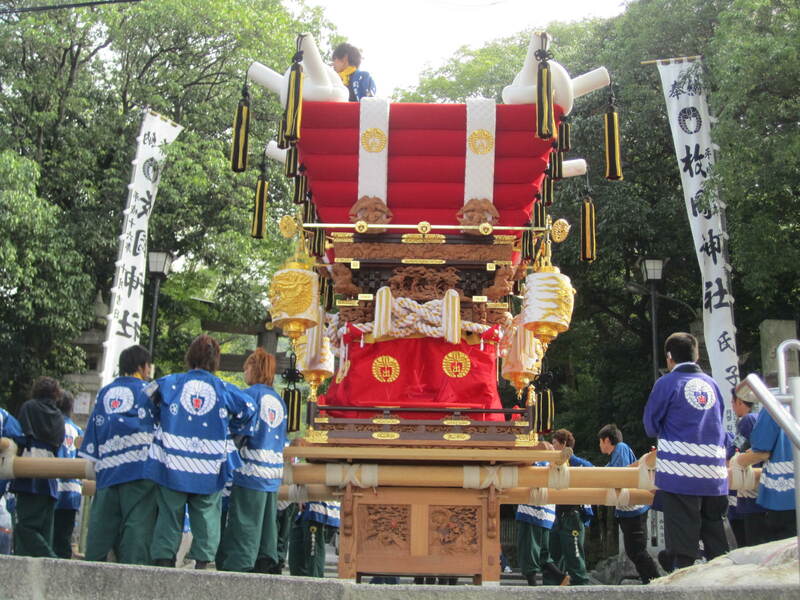 The Hotsuma Tsutae has been handed down in noble families for many generations. The previous resurrection was done by Yasutoshi Waniko, a 78th generation descendant of Kushimikatama, in 1775. He translated the chapters into Japanese using Chinese characters. 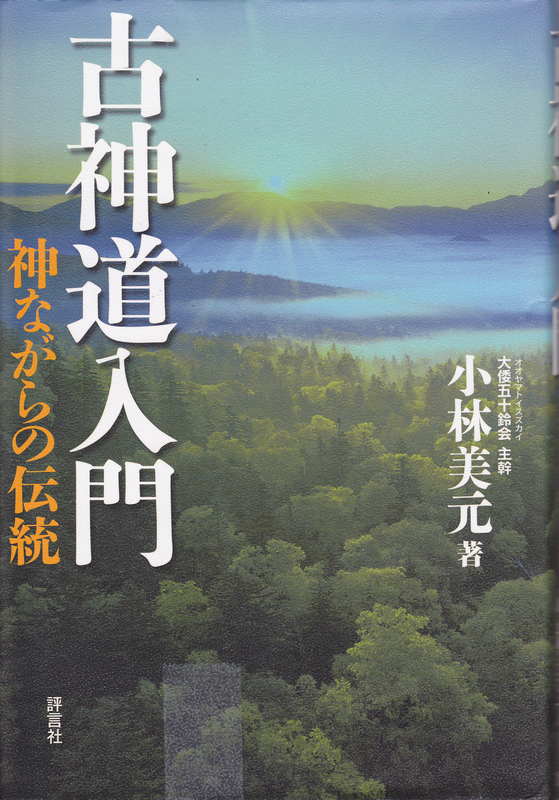 In a second-hand bookshop in Tokyo in 1966, Yoshinosuke Matsumoto found three of the chapters and after much searching and traveling, Matsumoto managed to acquire all forty chapters of Hotsuma Tsutae! The story of his heroic efforts to track down a complete copy of the Tsutae is given in his book, The Hotsuma Legends: Paths of the Ancestors, 1999. This entry was posted in Hotsuma and tagged Hotsuma Tsutae on 2013/05/17 by Okunomichi.